(VEN) - AEON 1% collaborated with AEON Group Company Vietnam to grant 40 scholarships to outstanding students of University of Social Sciences and Humanities - Vietnam National University Ho Chi Minh City and Ho Chi Minh City University of Education. This is the 8th ceremony that AEON grants scholarships to Vietnamese students to support on making their dreams come true. From 2006 to 2018, the program granted a total of 676 scholarships in both Hanoi and Ho Chi Minh City. 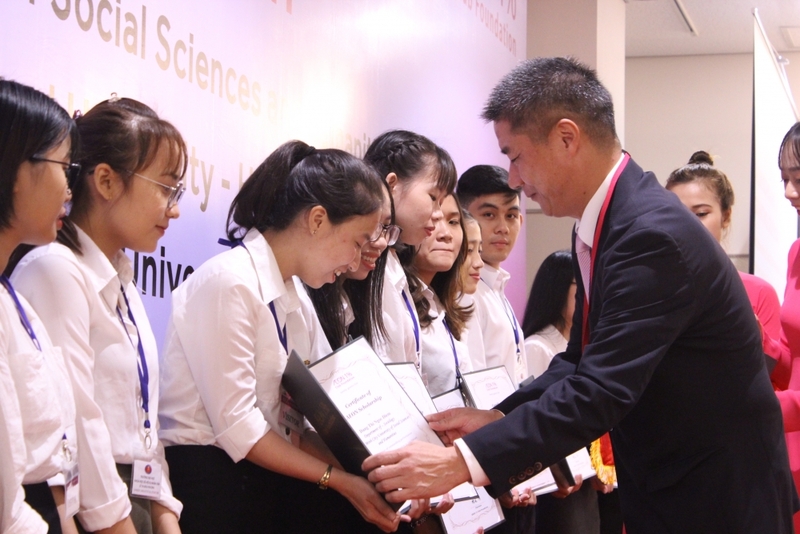 On 14th of December 2018, at AEON Binh Tan, AEON 1% collaborated with AEON Group Company Vietnam on organizing the AEON Scholarship ceremony to grant 40 scholarships to outstanding students of University of Social Sciences and Humanities - Vietnam National University Ho Chi Minh City and Ho Chi Minh City University of Education with total scholarship value more than 400 million VND. Accordingly, each student of this year receives a scholarship more than 10 million VND which increase from 2018. Along with business activities, AEON always strive to contribute to development and growth of local community through promoting initiatives of AEON 1%. AEON 1% was established in 1989 with a philosophy that AEON is a company that makes proper use of the benefits received from customers for the future and the community. Every year, each group company contributes 1% of pre-tax profits to develop diversified initiatives on the sound upbringing of next generation, the promotion of international friendship and goodwill, and sustainable development of the local community. 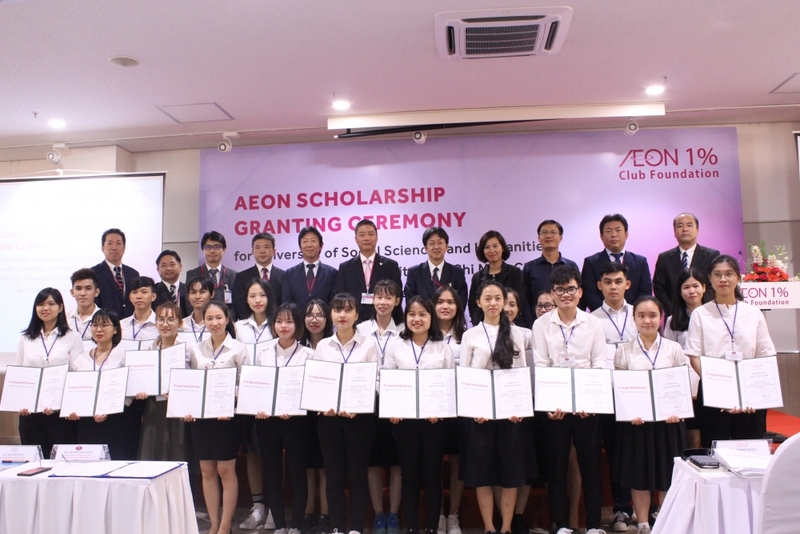 AEON Scholarship program started in 2006 that is the yearly regular activity of AEON 1% to promote a target on assistance for furthering their growth as global human resources. Up to now, AEON scholarships were granted for many universities in 07 countries such as Japan, China, Thailand, Indonesia, Cambodia, Myanmar and Vietnam in order to encourage students and serve a bridge between Japan and students’ home countries on active engagement.